June | 2018 | BollyWood News……. 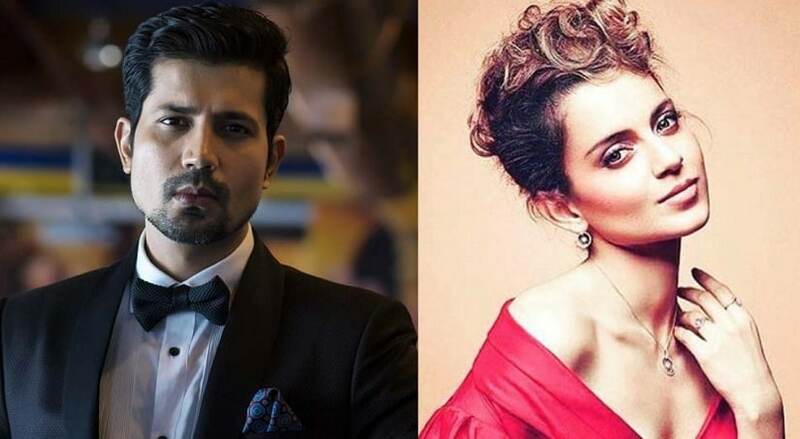 After impressing critics with his subdued performance as Kareena Kapoor’s fiancee in Veere Di Wedding, Sumeet Vyas is already being considered for other significant projects. Bareilly Ki Barfi director Ashwiny Iyer Tiwari is reportedly keen to cast him in her upcoming film which stars Kangana Ranaut in the lead role. The first look posters of Anubhav Sinha’s upcoming film Mulk are out and they mark Taapsee Pannu’s return to the courtroom after her 2016 film, Pink. The posters also introduce us to Murad Ali Mohammed (played by Rishi Kapoor) who is the accused. Pannu, an accomplished defence lawyer presents his case in the court. Earlier reports have suggested that Kapoor’s character is wrongly accused of a terror act due to his religion and Taapsee, who happens to be from the same family, comes to his rescue. Prateik Babbar is also reported to be a part of the drama but has not made an appearance in the posters yet. Sinha, who had last written the screenplay of Juhi Chawla and Madhuri Dixit-Nene-starrer Gulaab Gang, is marking his return to direction with Mulk. He had last helmed Shah Rukh Khan and Kareena Kapoor’s 2011 superhero film Ra.One. Mulk will reportedly be set in Varanasi which happens to be the director’s hometown and also the first time he is exploring the city on camera. The film is slated for a 3 August release. The trailer of Rajkumar Hirani’s upcoming Sanju was released on 30 May. Soon, it went viral with more than 11 million views, making it the top trend on Google’s streaming platform YouTube. Ranbir Kapoor, in the role of Sanjay Dutt, has stunned everyone — with his appearance, voice modulation and mannerisms that starkly resemble Dutt’s. Sanju is one of the most awaited films of the year, owing to the fact that it revolves around one of the most controversial actors of Bollywood and his even more controversial life. While director Rajkumar Hirani is known for his cinematic sensibilities, his attention to details is spot on. Apart from Ranbir, other actors in the film — Vicky Kaushal, Paresh Rawal, Manisha Koirala, Sonam Kapoor, Anushka Sharma — look equally promising. In midst of all these stars and the gritty trailer, many seem to have missed one more cameo. 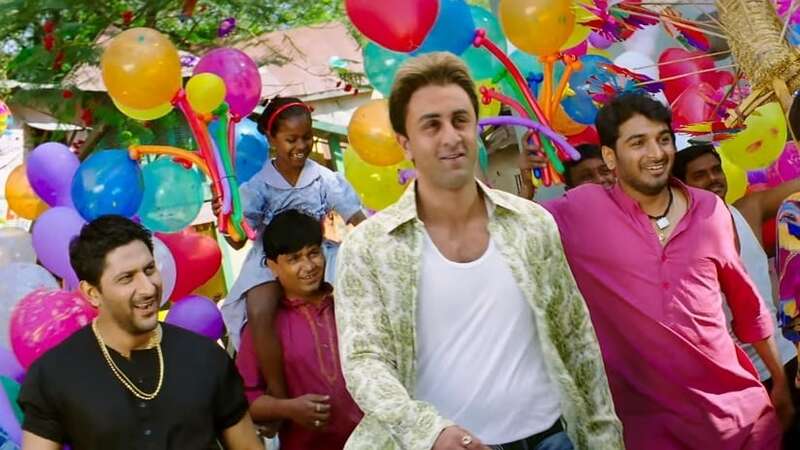 At 2.24 min, in the trailer video, Ranbir’s Sanjay Dutt is seen along with actor Arshad Warsi in a still from the song ‘M Bole Toh’ from Hirani’s 2003 hit film Munna Bhai MBBS. Although on looking closely, it can be seen that Ranbir has been photoshopped in place of Sanjay Dutt in the song, the tiny clip sure brings back memories. Arjun Kapoor and Parineeti Chopra-starrer Sandeep Aur Pinky Faraar will now release on 1 March, 2019. The Dibakar Banerjee-directed thriller was earlier slated to release on 3 August, 2018. The film will see Arjun as a Haryanvi cop and Parineeti as an ambitious corporate. Their paths cross after a dramatic turn of events. The two actors are coming together for the first time in six years since debuting together in Yash Raj Films’ Ishaqzaade. Arjun and Parineeti are also shooting for Namaste England currently which is expected to release during the Dussehra weekend. Therefore, the move to release Sandeep Aur Pinky Faraar next year is a conscious effort to let the viewers separate the two movies from each other. Bollywood actress Swara Bhasker is currently busy promoting the upcoming film Veere Di Wedding, where she shares screen space with Kareena Kapoor Khan, Sonam Kapoor Ahuja and Shikha Talsania. The film is produced by Rhea Kapoor and Ekta Kapoor. It is reported that after Veere Di Wedding, she will be seen in the Hindi remake of the 2010 Telugu thriller Prasthanam. According to a report by Asian Age, the actress will be seen essaying the role of Sanjay Dutt’s stepdaughter in the film.